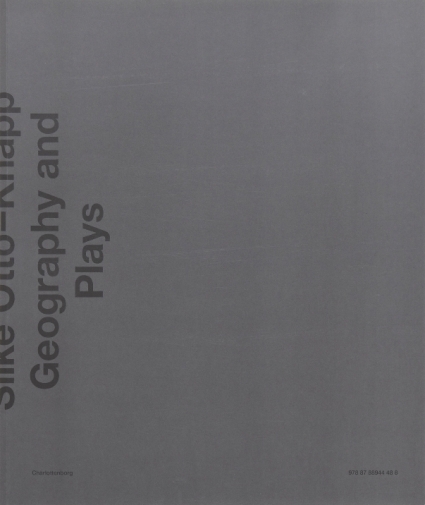 Published on the ocassion of the exhibition "Geography and Plays" at Kunsthal Charlottenborg. Foreword by Jacob Fabricius and Jenni Lomax, essay by Sabeth Buchmann. Silke Otto-Knapp's paintings are characterised by graphic lines and opaque surfaces with staged representations of figures and landscapes. The exhibition Geography and Plays displays a selection of these works, which could be regarded as entering into a dialogue with Hill Hill Hill Hill Hill. Silke Otto-Knapp works with watercolours on canvas, in an almost monochromatic spectrum: a choice of materials that allows the building up of the complex, semi-transparent, layered surfaces that characterise her landscapes. Based on documentation of performances by for instance the Ballet Russes in the 1920s, the Judson Dance Theatre in the 1960s or contemporary choreographers, Silke Otto-Knapp has also painted formations and tableaus formed by the bodies of the choreographed dancers. The monumentality and formalised ritual of the choreography is translated into almost abstract elements that create a contrast to the otherwise fragile expression.